You know those days? I'm having one. I don't remember the last time my head didn't hurt. Last week, I'm sure, probably Friday. But I can't remember it. And I'm tired, tired, tired of not trusting our cars. Speaking of cars. So I go into town, and it will cost a fortune to fix the rim. We'd pay it, if we'd have it tomorrow, but they can't guarantee that. Probably Monday. We can get a new one for less if we wait until about Wednesday. No contest. So I go to get new tires on the other vehicle. My head is pounding, remember? And I barely have a voice. So they decide I look like a good person to use to train in the new guy. I'm paying by check, only the scanner doesn't like my check. 25 minutes and two checks later, we go to the customer service desk, where they still can't get my check to scan. Of course, they can't start work on my car until I pay, and I really DO NOT want to use our regular bank account. And then they find that the new guy rung up the wrong tires, so they are charging me about $70 more than they should. But they STILL can't get the system to accept my perfectly fine check. It's not one of those print 'em yourself things, it was sent out BY THE BANK. I have to use my debit card. It's now been nearly 50 minutes. And the tech guys are doing NOTHING this whole time. There has not been ONE. SINGLE. CUSTOMER. They tell me it will be about a half hour, so I kill time. I come back after 35 minutes, and my car is still being worked on. Along with three others. Thirty minutes becomes 45. Did I mention a headache? Oh, and not that I can afford groceries now, since I just spent money we don't have, but I stop to grab tortillas. I have TWO items. I get in a line that says "open" and she smiles and tells me she's closing. The lane next to her, the checkout person quickly switches her sign to closed. I walk to the far end of the store, and pick a line. I get to be the first person in that line... and...it is time to switch checkout people. That requires the "old" checkout person to run some computer thing, then they wait for a customer service override, and the new person can log in. Customer service is apparently busy serving customers, not serving checkout people. So the checkout process times out, and she has to start over. Yes, I stood as the FIRST person in line to buy TWO packages of tortillas for well over 10 minutes. Did I mention my head hurts? Pretty sure I did. Of course, I intended to go to Walgreens and use an 'on your next order' coupon to get something for my neck. I know I didn't mention that I can't turn my head because my neck hurts, and I suspect that is, oh, probably a cause of my headache. I forgot until I was heading home, and I just. could. not. turn around and head back into town. I also forgot to drop off late books at the library. Dropped them at the bookdrop instead. They'll be processed Monday, so they won't be AS late as if I wait for the bookmobile to return on Wednesday. Oh, and as I'm heading home, Connor calls to tell me the stuff shifted in the aquarium and killed two tadpoles. There's a reason we don't do pets. I want a massage. I want a dark, cool room. And I'm really, really tired of being a grown-up. At least the kids hadn't yet named the baby frogs. 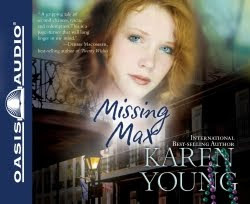 As part of the blog review team for Oasis Audio, I had the opportunity to listen to Missing Max by Karen Young. The audio is read by Laural Merlington, who did a fantastic job with the voices, especially differentiating the many Louisiana female voices. The basic plot is that a six month old baby, Max, is kidnapped at Mardi Gras while momentarily in the care of his older sister, Melanie. Fast forward six months, and Kyle and Jane Madison are trying to cope, as is Melanie, but everything is falling apart. Things get miserable, and they only get worse. The family members are all in pain, are all pushing each other away, and are all trying to cope in ways that aggravate everyone else. Everything that can possibly go wrong does. I think the book did a fabulous job of showing the stress and strain that a tragedy can bring to a family. Particularly in the first half of the book, it was fairly clear that everyone in the family shared in the blame for the family turmoil. I love how the main characters were fleshed out, and many of the secondary characters were made very real as well. I truly liked other touches of reality. That being a Christian doesn't mean that your kids will always behave. That becoming a Christian doesn't mean your problems vanish. That actions do have consequences, and sometimes some pretty far-reaching consequences at that. Why do the primary characters all have to be super-model material or ruggedly handsome? Can't the main characters be merely attractive? Ever? I'd find it easier to relate to Jane if she wasn't drop-dead gorgeous. More bothersome to me was the idea hinted at repeatedly that everything happens for a reason, and that God must have a purpose in the abduction and abuse of a baby, though we may never find out what that purpose is. Alongside that, one thing I did find very frustrating is that when Jane is trying to find a reason for this awful tragedy, she just doesn't get any satisfying answers from anyone. "I don't know why bad things happen to good people," is about the best she hears. Unfortunately, that probably is realistic. I wanted someone, at some time, to point out that bad things happen because sin entered the world, not because God enjoys tormenting babies. And that God can bring some good out of pretty horrible circumstances, but it doesn't mean that God wants people to behave so abominably. I enjoyed the book, and I do recommend it, though it is not necessarily something to be listening to while little ears might overhear. There are some really tough issues, obviously, but it did get me to think about what is -- and isn't -- important in life. And it got me thinking about how others are reacting to my actions and my words, not to my intentions. One tragedy after another makes this book sound rather depressing, but it is actually fairly uplifting. Bible in 90 Days Challenge, post regarding days 15-21. Here's last week's check in. I'm changing the week # to match up with what they are using because I am getting confused. And I'm only checking in with progress through yesterday. Mondays are too crazy and I'll never check in if I wait until the kids are up and we get to listen. Monday: Read Deuteronomy 9-26. Poor Richard Dreyfus. He does not get a break in this book (he's voicing Moses... and I'm pretty sure we haven't heard anyone else today.) It was tough listening to some of the laws here. It is just so hard to believe that people have to be commanded not to burn their children, you know? And doubly hard to believe that after being commanded not to burn your babies, that you would then find anything appealing about those horrible Baal worshipers in Canaan, and end up joining them. Anyway, we listened to extra today so we can have Saturday off. Tuesday: Read Deuteronomy 27-34. Yikes, this was LONG. The kids totally agreed with Ian on What's in the Bible -- death just isn't a great way to end a motivational speech. I did let the kids watch What's in the Bible 3 after we got through Deuteronomy. Seemed a good reward. Wednesday: Read Joshua 1-18. My kids loved the paragraph about the angel of the Lord coming to Joshua. They were all clearly envisioning Larry the Cucumber falling down before the angel in Josh and the Big Wall. Yeah, yeah, I allowed them to pull that DVD out to watch too. Thursday:We finished Joshua. Intended to do way more. Everything conspired against us, including power outages. Yuck. Friday: Okay, totally blew it. I think that what I'm going to do is to listen to Judges myself today and tomorrow. And I'll have the kids work through the Judges portion of a story Bible, which will take a lot less time. Hmmm. Saturday:Finished Judges. The kids picked the wrong time to not be listening. But we'll have fun hitting the highlights tomorrow. Sunday: all we did was to catch the kids back up. Edited to add: Okay, I added up how much time we have left, and we are NOT actually behind. We're behind where the rest of the group is, but my plan was to go by time listened, not by pages in a Bible I don't own. If we continue at 67 minutes per day, we will actually finish on day 87. So I'm going to not worry about it this week. We'll listen to probably something closer to 70 minutes a day M-Th, so we can listen to under an hour on Friday. The kids will skip Saturday, and hopefully we'll get another near-hour listened to on Sunday. I recently received a copy of the Hands-On Bible from Tyndale House, and also a certificate that I can give away to one of you! I had no idea when I requested this that I'd have the chance to bless someone else with one too. I love doing this! We are having so much fun with this Bible. The maps at the back are fantastic, and my boys have loved the introductions to the books of the Bible. The appendix has kid-friendly definitions, and even a FAQ article. There are lots of additional resources available too. There are devotions available, and this same page also has a Bible reading plan, and songs available for download. At the Tyndale House page, you can download a great excerpt. Right now there is a drawing going on for 12 family pizza nights, two hardcover Bibles, a Hands-On Bible Curriculum, and all three volumes of What's in the Bible. It's a bit involved -- but head on over and read about it! And I'm giving away a certificate for a free Hands-On Bible. To enter, you must visit the Tyndale House page, take a look at the PDF excerpt, and leave me a comment telling me what feature appeals to you the most. Visit the drawing page linked above, view the devotions, and comment on one here. Follow me with Google Friend Connect and leave a comment stating that you did. Two entries (leave two comments) if you were already following me. Visit the devotions page linked above, check those out (you do need to register, but it is free), and comment on what you find. Publicize this giveaway on your blog, facebook, or something similar, and leave me a comment telling me where. I will be drawing at the end of the week, entries must be in by midnight Mountain Time Saturday, July 31. I will email the winner. If I cannot easily figure out how to contact the winner, I will post on the blog. If I cannot reach the winner, I will draw a new winner on Tuesday morning. Disclaimer: I received this book and coupon for free from Tyndale House Publishers, in exchange for my review. No other compensation was received. The fact that I received a complimentary product does not guarantee a favorable review. Big Fish Games is having a weekend sale to celebrate a billion game downloads, or something like that. That means that they have a bunch of games (over 60) on sale this weekend for $2.99. The blurb says this expires on 7/26, so maybe you have through Monday. They've got lots of other games available to download at this price. As far as some with a fair amount of educational value, the Professor Fizzwizzle games (another is here) are great for elementary ages. They are like logic puzzles. 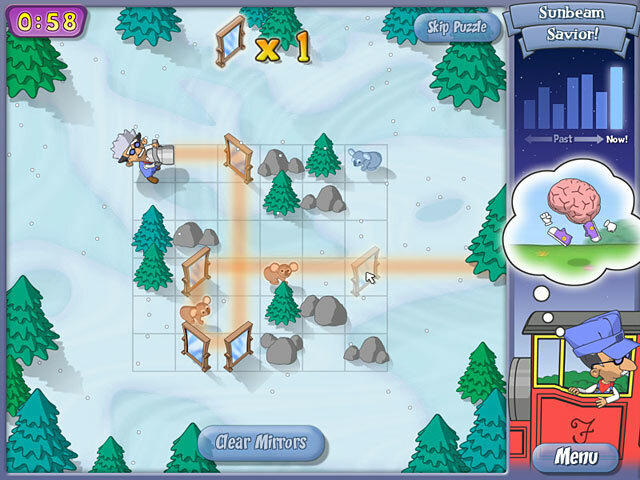 To the right is a screen shot from Molten Mystery. 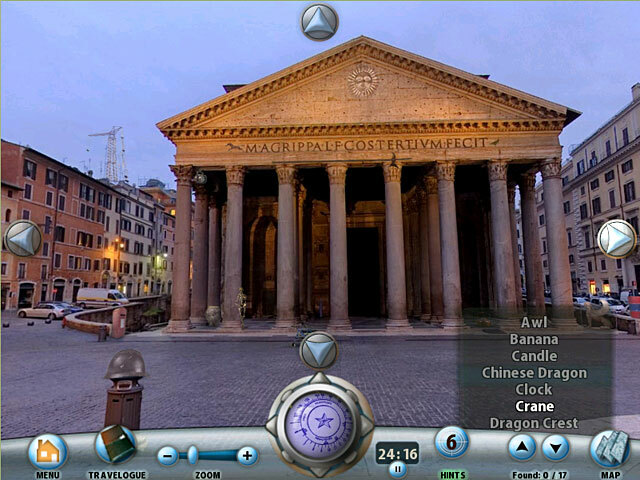 Although I don't particularly like hidden object games, there are some "travel" ones -- one for Paris, one for Rome, one for London that I think would be fun supplements to either a Latin or French program, or a geography supplement. The screen shot on the left is from the Rome title, of course. (Naturally, that's what I would choose!) I don't own these, by the way, so don't consider this an endorsement exactly. Here is the entire list of sale games for the Mac or for a PC. All of their games (mmm, I think all, almost all anyway) have a free one-hour trial, so you can test it out first. 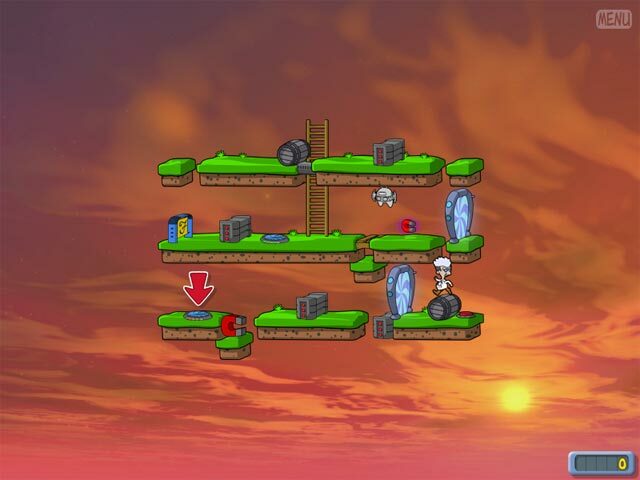 And all of the game links above are for the Mac version. Click it, and there is a link to the PC version on the Mac page. Not that I'm pushing you to do it, but if you find six games you like on this sale, you'll fill a "punch card" and at the beginning of August, you'll get an email with a code for a free game of your choice. So that would be seven computer games for just under $18. Travel Kits by Donna Rees is an e-book sold by The Old Schoolhouse and is my second review product for The Homeschool Crew this year. The basic idea as it is put in the first chapter, "A travel kit is a collection of items that will entertain and/or delight the passengers (especially the younger passengers), thus making the trip more pleasant for everyone." The e-book is 93 pages, consisting of 14 chapters and some bonus materials. You can download the table of contents and a sample to see it for yourself. The chapters contain a lot of creative and ingenious ideas for creating kits for young kids, for older kids, for moms and dads, even for grandmas and grandpas. It occurred to me as I read that with all of our traveling, this is an idea I really do need to think about implementing. We have a roughly 15 hour drive to the grandparents' houses, which would be the logical time to attempt this. Or I could create something for Trina for Scout nights, when her brothers will be busy, but she will have nothing to do. And I'm thinking the kids might make one for their grandparents when they visit near Christmas. One thing we do on our trips is to listen to a lot of audiobooks while we drive. And at a bare minimum, I have been inspired to wrap up something for each of the titles (we rip the audiobooks to my iPod and leave the actual CDs at home) and make a game out of choosing the next title and unwrapping it. It certainly sounds a lot more fun, doesn't it? And I love the idea of not necessarily knowing what we'll listen to next. What do I recommend as far as this product? I don't know. At $12.45, I'm not sure if I would feel happy with my purchase. But if I purchased it with one of The Old Schoolhouse's coupons or special offers at 50% off, I'd be quite pleased. I do know that the book is making me think differently about our travels, and maybe after I actually use a travel kit or two, I'll feel more positive about its value. The Old Schoolhouse has a pretty wide selection of e-books available, on all kinds of topics. I particularly appreciate the variety of topics, both directly homeschool related and not, so if this one doesn't appeal to you, maybe another one will. Edited to add: I wanted to add something I thought about today. I'm wondering if my perception of value is drastically different from others' perceptions based on the fact that we've already settled into a pretty decent on the road routine. We've been making 16 hour trips to see Grandma forever, and between audiobooks, rest-stop traditions, state-crossing traditions, special food (Reese's cereal!! ), and other special activities... well, I'm not quite sure how we'd fit something else in, I guess. I think families who aren't used to loads of car time, or who struggle with travel time (ours is actually a lot of fun), or who rely on portable DVD players (we've never owned one), would find a lot of bang for the buck. I think I was probably too harsh in my value comments above. Disclaimer: As part of the TOS Homeschool Review Crew, I did receive a free e-book from The Old Schoolhouse. The fact that I received complimentary products does not guarantee a favorable review. It does guarantee a review. A fair review. But I am not going to praise something unless I think it deserves the praise. If I don't like it, you'll hear that. And hopefully with enough detail as to why so you can decide for yourself if what I hate about it makes it perfect for your family. For more about my take on reviews, visit my blog post here. My first review for the 2010-11 Old Schoolhouse Homeschool Crew year! Travel the World, intended as a unit study for all ages, is the June, 2010 Planner Module put out by The Old Schoolhouse. I thought I'd use this with my 4th and 1st graders while their big brothers were away at camp. Somehow, that never quite happened, and then the kids took turns being sick. So we didn't use anywhere near as much of this as I would have liked. A 56 page e-book, this, like all the Planner Modules, is intended to be used alongside the TOS Planner, but it most certainly is a stand-alone product as well. The teaching part of the e-book contains some introductory geography materials, and then goes through the continents one by one. 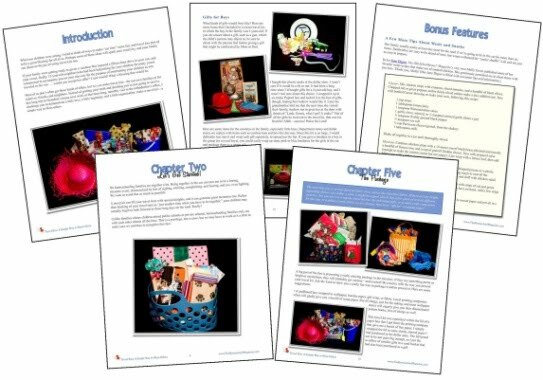 The next section contains a lot of "extras" including coloring pages, various puzzles, lapbook starters, copywork, and so on. A high school expansion section follows, which I'll talk more about below. Finally, there are a couple of recipes and pages of additional resources links. I have a number of Planner Modules from before they included a high school expansion pack, and I have to say, this is a great addition, and one that is going to make me take a serious look at some of the other newer modules. Most of this is pretty open and go. I opened up the e-book, started reading aloud, and then we followed links to investigate some topics a little more deeply, or to play games. The older kids pretty much rolled their eyes at me, I have to confess, as they felt they already knew everything there was to know about latitude and longitude. Throwing some of the high school expansion activities at my middle schoolers helped immensely. They particularly enjoyed learning about Matthew Maury, and having that as part of this geography study did help bring them in. I don't really do much with lapbooks, my kids tend to really dislike word puzzles, but the coloring pages were a hit with my little two (1st grade and age 4). Still, I know so many people really love these things, so I am glad they are included. Now, if I were trying to do this as a unit study, one thing that is missing for my family is some good, real books. Off the top of my head, I can think of a few that I'd probably add: Around the World in 80 Days (except we read that fairly recently) would make a good "big" Read-Aloud. My Father's Dragon would be an excellent read-aloud for those too young for Jules Verne. I'd check a few picture books out, too, I'm sure. Me on the Map, or How to Make an Apple Pie and See the World. I'd also consider looking for titles that took place on each continent. But we're big into literature. I'm sure most families would not feel the need to add all that. I'd be more likely, I think, to use this particular study as a supplement to our regular history/geography studies though. Work from it one day a week for as long as it takes, for instance, and have the time to really play some of the games and work on learning the concepts for each continent. At just $7.95, I will be looking at some of the other Planner Modules, particularly those from this past year that include the high school supplement. I'm seriously looking at the March 2010 one -- Wonders of Flight. And my entomologist would love the May 2010 one -- Insects Galore! Check this out. 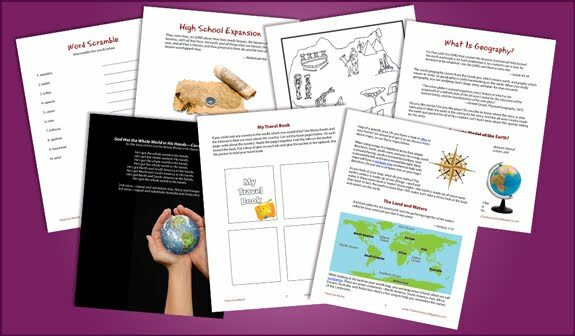 There are pretty extensive samples available to download, so you can see if you think it could be used to enhance your family's studies. Bible in 90 Days Challenge, post regarding days 9-14. I decided my Mondays are just TOO insane and I will NEVER check in on time if I do it actually on Monday. So I'm going to blog my check-in on Sunday, and only have to link up on Monday. That I can do. I hope. Here's last week's (late) check in. Tuesday: read Leviticus 8-19. Wow, lots of stuff that just isn't fun to listen to. 'Specially with the kids. Wednesday: read Leviticus 20-Numbers 2. There is a reason I always bog down in here. I have to say, this reading plan is kind of nice. Get all these lists of people and things over and done with in under a week and move on to something that doesn't put me to sleep. Friday: read Numbers 15-29. I got a lot of sewing of Scout uniform patches done, so we listened a little longer than usual. That puts us almost where we are "supposed" to be. Saturday: read Numbers 30-36. Experienced technical difficulties, so we were short about 20 minutes. We'll have to make that up this next week. Sunday: Read Deuteronomy 1-8. Found it interesting how Moses blames this next generation for him not being able to enter the Promised Land. 'Because of you...' even though it was their parents who were involved, and God was punishing Moses for what Moses did... So if Moses blames everyone but himself, why is it so surprising that my kids blame everyone but themselves? Or that I do? I posted plans a week or so ago for Language Arts. Mostly because I had to in order to wrap my brain around what in the world we're going to do, is it enough, and have we covered "everything." Well, this post is about science. Because science is fun, we love figuring out science, we always do more than planned, and I just needed something upbeat to write about. Connor - he'll be finishing up Biology through Virtual Homeschool Group, sometime in October. He'll be starting Chemistry through them when they start up the school year (late August? early September? I'm not sure). I'm quite sure he won't have a problem keeping up with both for those few weeks. He's also doing some things to supplement his studies, and pursuing various rabbit trails. William - he'll be taking General Science through Virtual Homeschool Group. 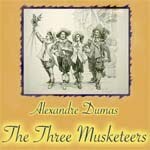 We have the mp3 of the text, so he'll be able to listen along. I refuse to hold him back in science because of his reading. I'll be scribing lab reports too. Thomas - we're still toying with a couple of options here, including the idea of finding things to do that relate to what William is studying in General Science. I think, though, that he & I are going to work through one of the Apologia Zoology books. And we're continuing to work through this Archaeology book. Richard & Katrina - I think it is a little light, but they'll be working through The World God Made according to the schedule in Little Hearts for His Glory. They'll get plenty of other science, so I'm not going to worry about it. Planning Language Arts. Nah, this doesn't stress me out every. single. year. You believe that, right? I think I have a plan though. Fix-It Grammar, the first story, Tom Sawyer, alongside his brothers. Yes, it is probably a little too easy, but I'm positive it is the right thing for him. 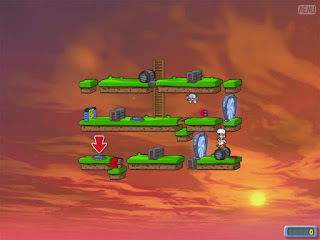 And I know I will not succeed in doing more than one level. Caesar's English, alongside his brothers, also probably a bit too easy, but he'll do a lot more work with the synonyms and antonyms and analogies. Reading Assistant, Master Reader, etc. Katrina, age 4 -- well, her stuff we'll play by ear. I'd love to start her on All About Reading, the new program coming out from All About Spelling, but I don't think I'll be able to afford that. :( Not for one student. I resisted. I really did. But this morning, I just knew we needed to join this challenge. By "we" I mean myself and my four boys. Trina probably won't really participate. The goal is to read through the entire Bible in 90 days, starting today and ending October 2. I'll be tweaking it a bit (stop laughing!) as we are going to LISTEN through the Bible, using the NKJV Word of Promise Complete Audio Bible by Thomas Nelson. This audio Bible is 97 1/2 hours long... which I calculated to be 65 minutes a day. So, instead of following exactly the schedule laid out, we'll listen to 65 minutes and finish up the chapter. Today, that meant we listened to Genesis 1-14, which was almost 69 minutes. The official schedule would have had us reading Genesis 15-16 too, but I figure it will all work out (and those are fairly short chapters). The idea in this reading is to go through the Bible at a pretty fast clip, getting the big picture -- a broad overview. It isn't meant to be an in-depth study by any means. I think it is going to be really fascinating to see what the next three months bring.